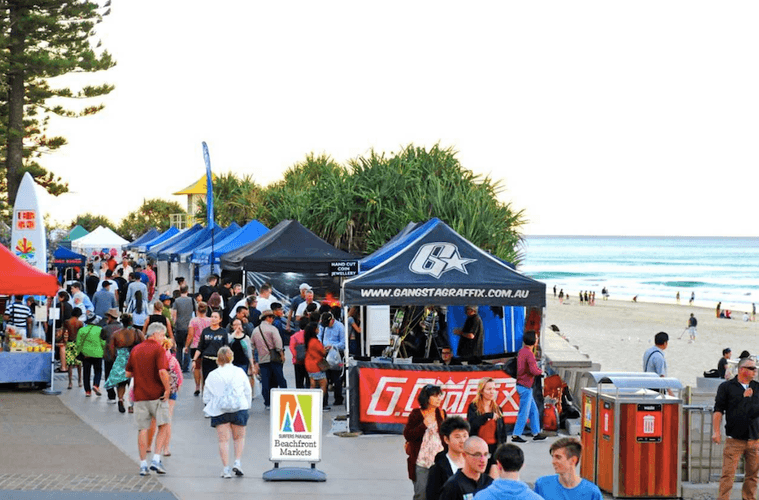 The Surfers Paradise Beachfront Markets are one of the top things to do on the Gold Coast, situated along the iconic Surfers Paradise beachfront. The enchanting twilight markets are one of the must-do activities when visiting Surfers Paradise. With more than 100 stalls, the Beachfront Markets provide an ambient, festive atmosphere encouraging local families, holidaymakers, and bargain hunters to explore the offerings in the vibrant, open-air environment while enjoying the scenic seascape and salty ocean breezes. Free and family-friendly, the markets provide the perfect thing to do while making the most of the picturesque surrounds as the sun sets beyond the Surfers Paradise skyline. The markets showcase an impressive collection of local wares including fashion, jewellery, accessories, artwork, photography, beauty products, homewares and services, all with a special Gold Coast spin. Shoppers can also observe the talented artisans at-work and roving attractions including musicians and street performers sure to captivate visitors of all ages.